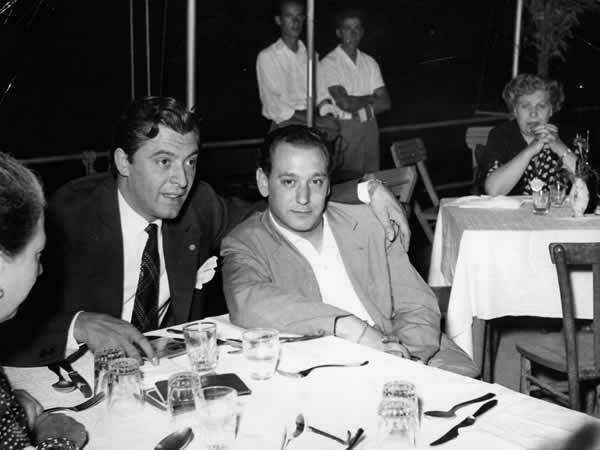 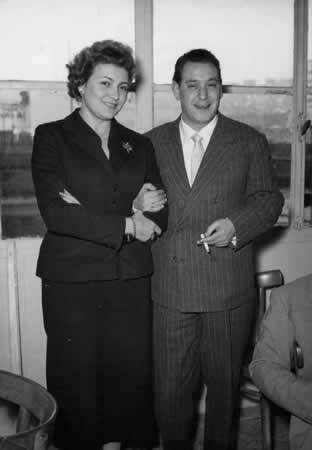 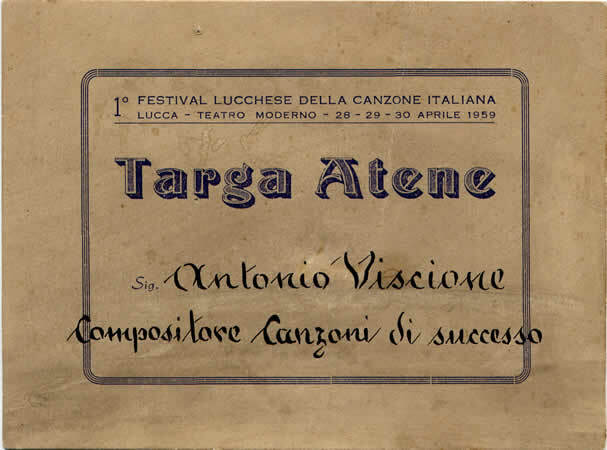 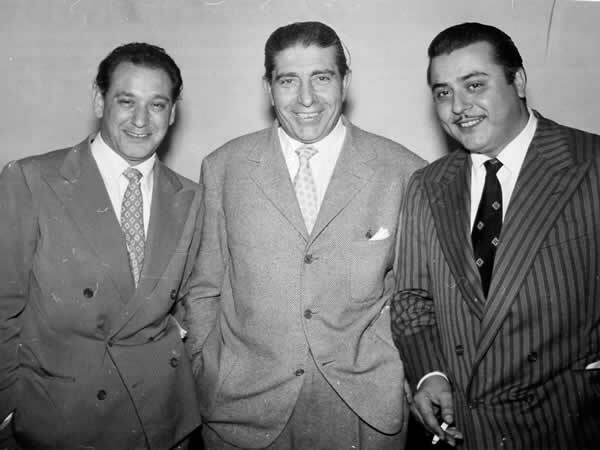 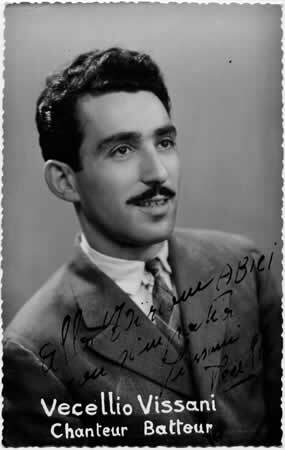 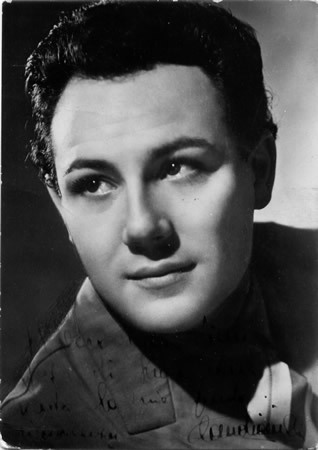 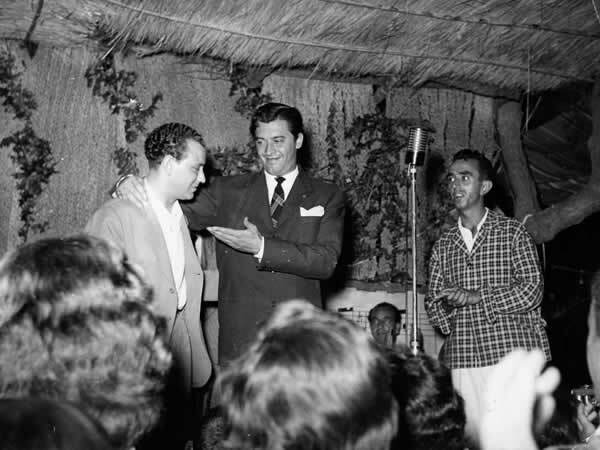 ANTONIO VISCIONE, whose stage name was VIAN (putting the initials of his surname with his name), was born in Naples on 14 june 1918. 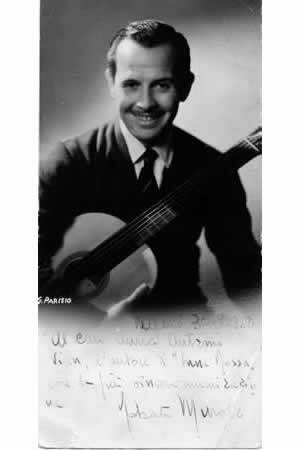 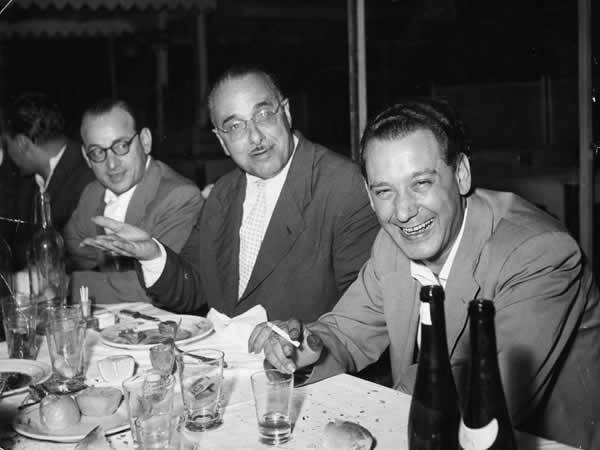 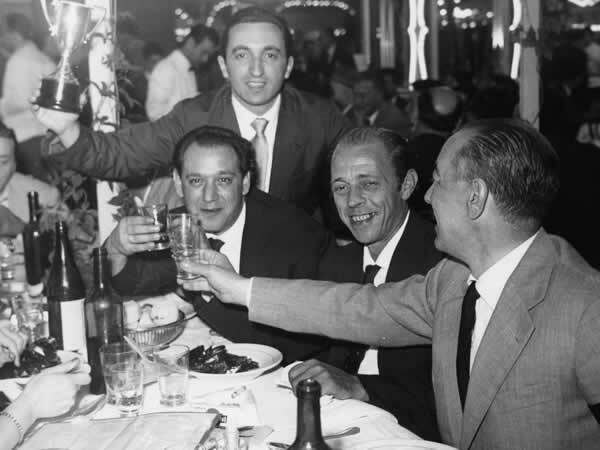 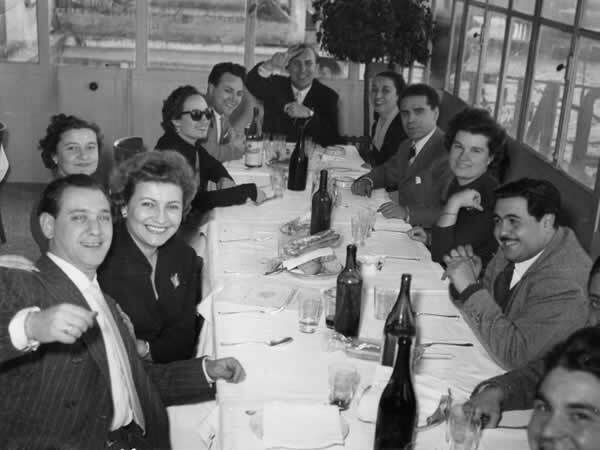 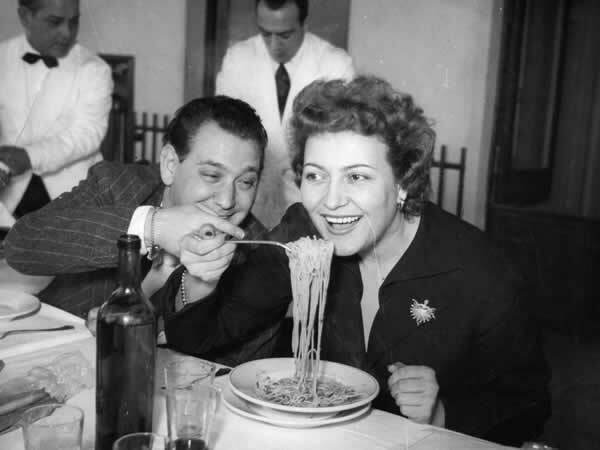 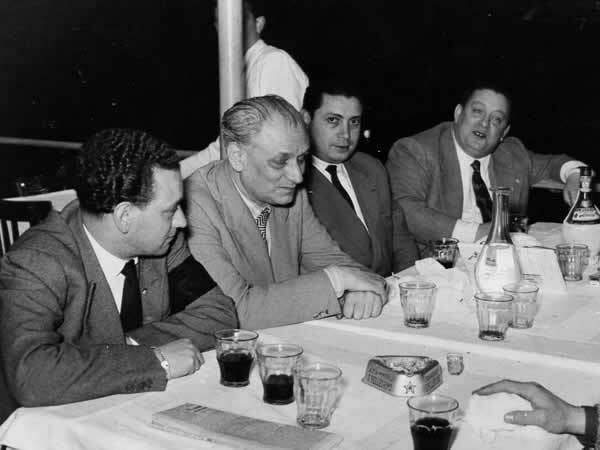 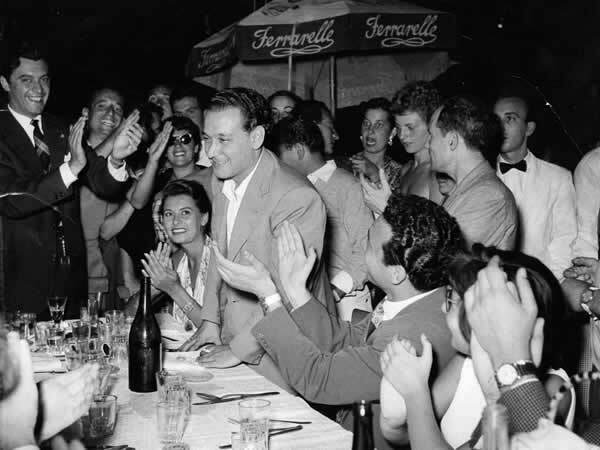 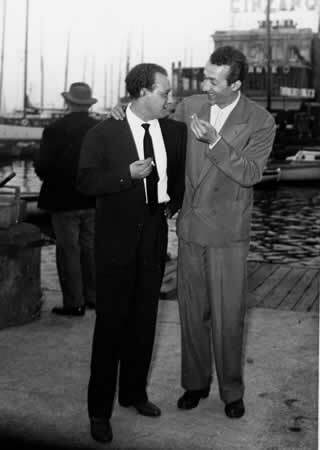 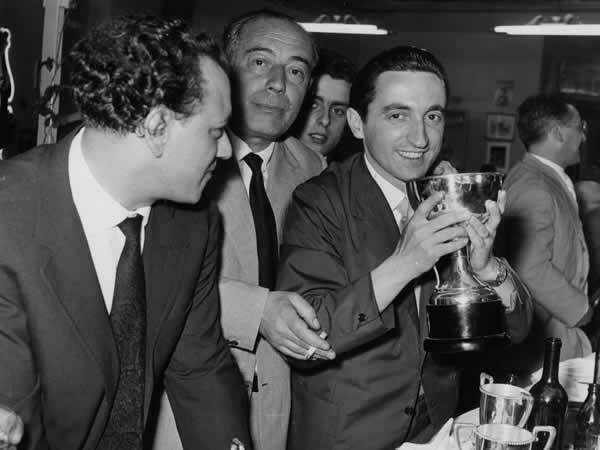 He could have enriched the Naples song heritage even more with treasures like Luna Rossa, thanks to his melancholic streak, had he not been struck down by a terrible illness in his artistic prime. 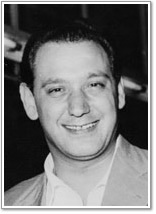 Thanks to his brilliant genius and particularly expressive nature, he was considered one of the most successful and representative composers of our beautiful song tradition. 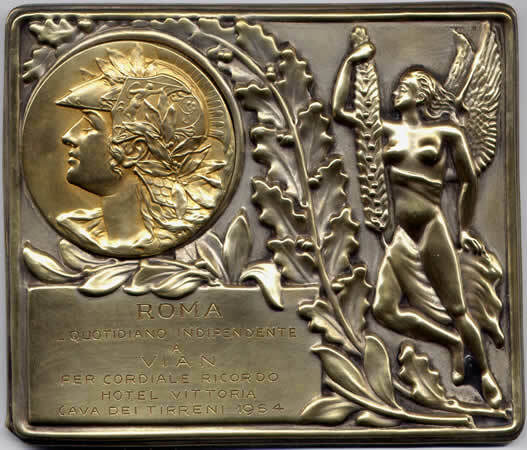 After completing his classical studies, he enrolled at the Humanities Faculty and later worked with the newspapers "Roma" and "La Repubblica" as an art critic. 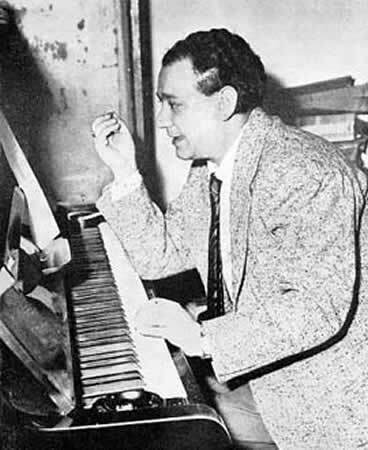 Since a boy his passion for music had been strong and he had started to play his first compositions on the piano in his parents’ hotel. 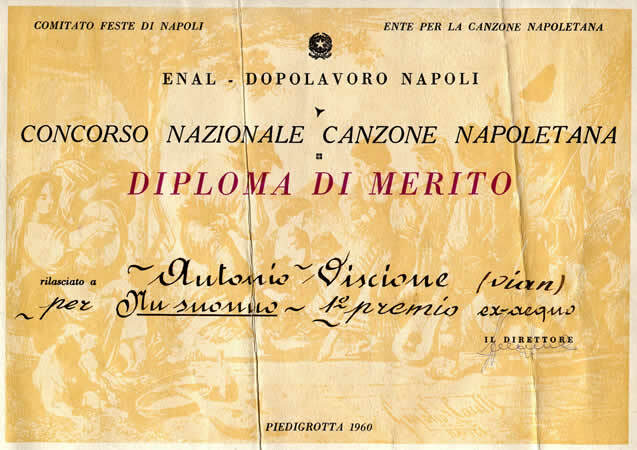 However, his parents desired a secure future for their son and consequently hindered his ambition, so he taught himself and composed and played by ear, as he was not allowed to study the piano. 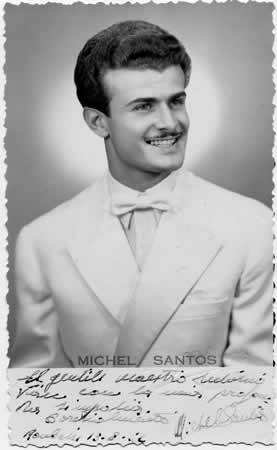 His family wanted him to become a doctor of medicine, but Antonio, dedicated to music as he was, took advantage of the absence of his parents, who were busy running the hotel, to strike notes on his piano at home. 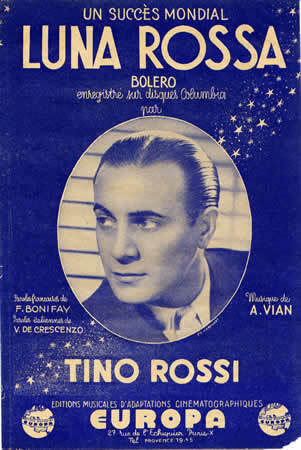 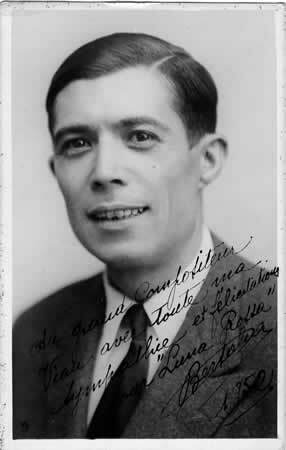 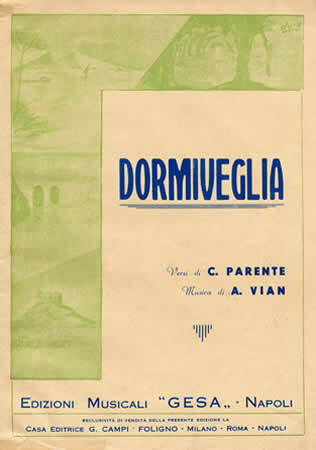 At the age of eighteen he composed his first song: "Dormiveglia" to Italian verses by Ciro Parente. 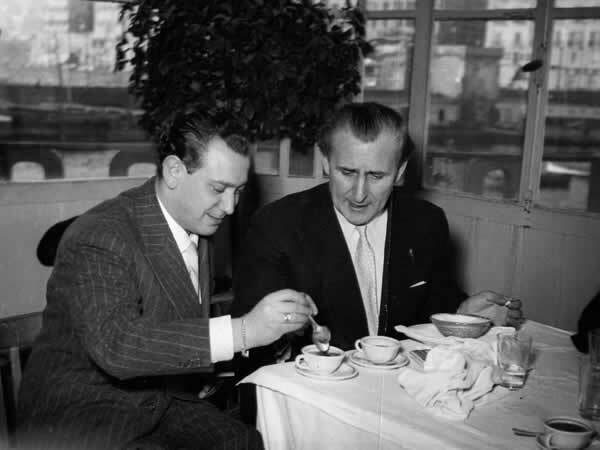 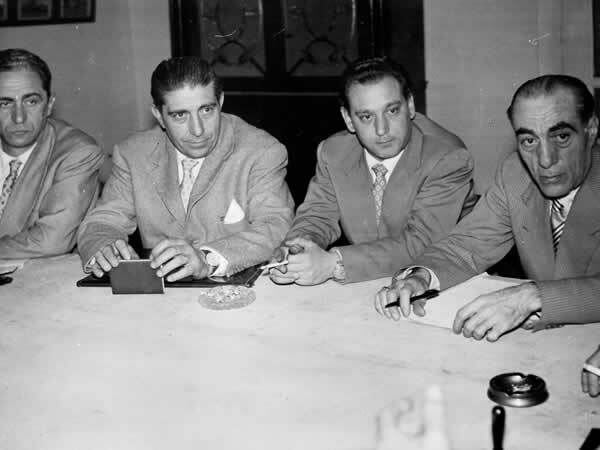 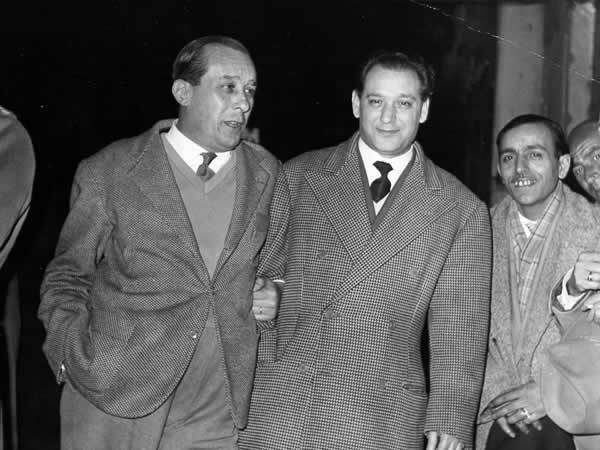 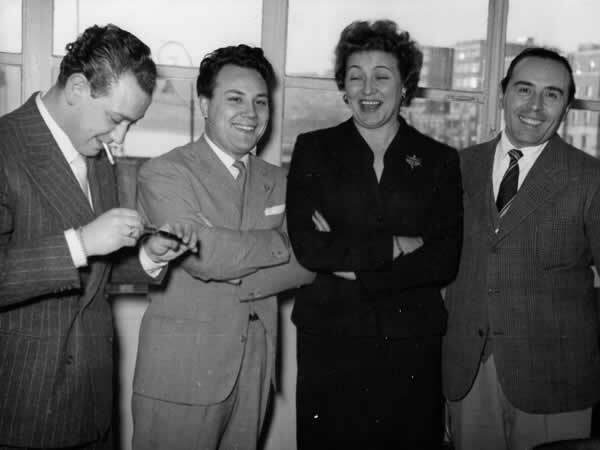 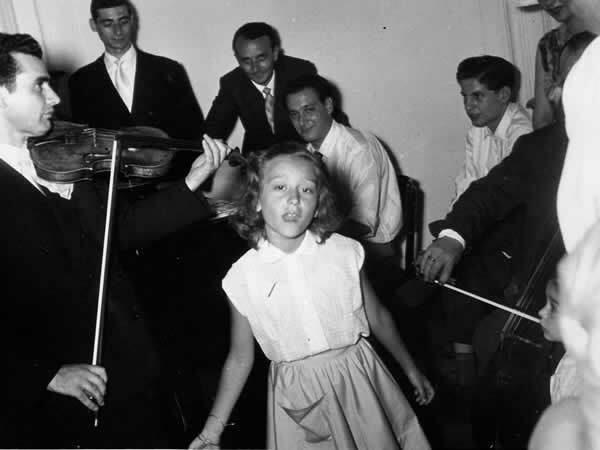 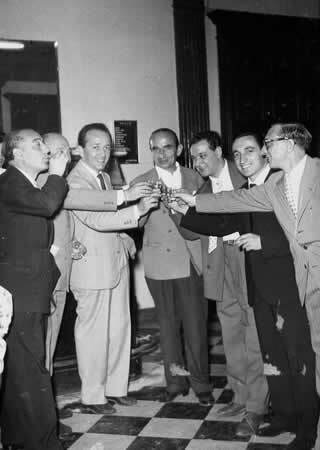 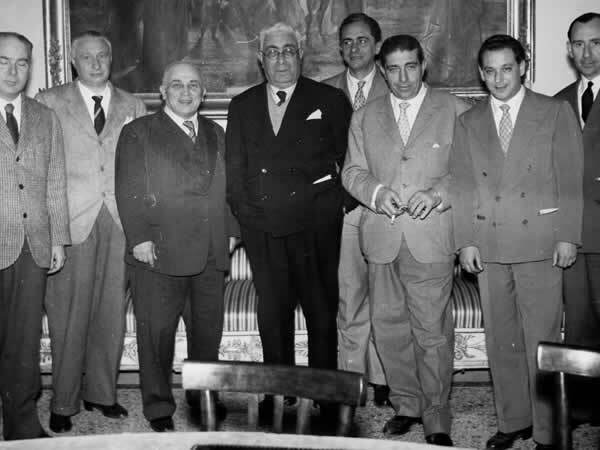 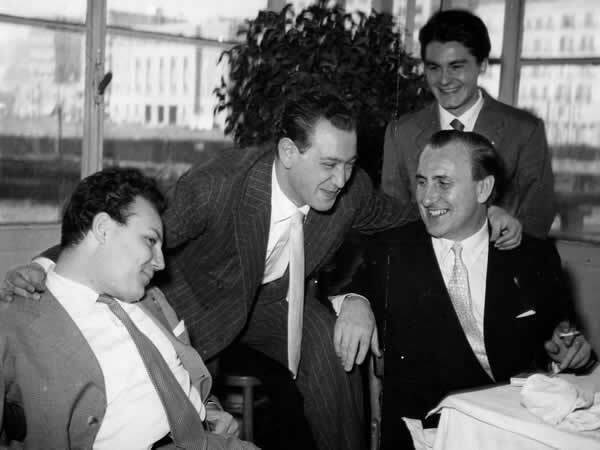 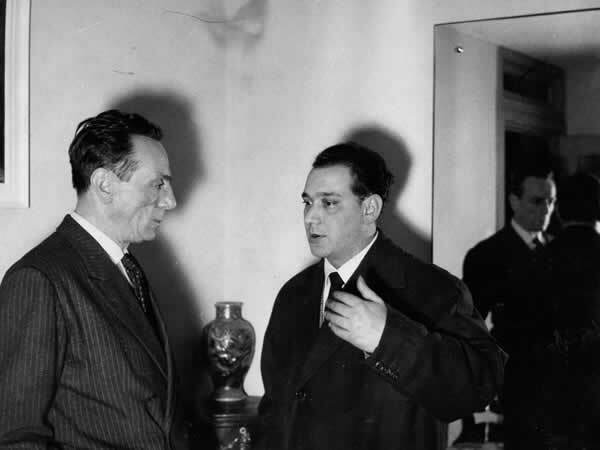 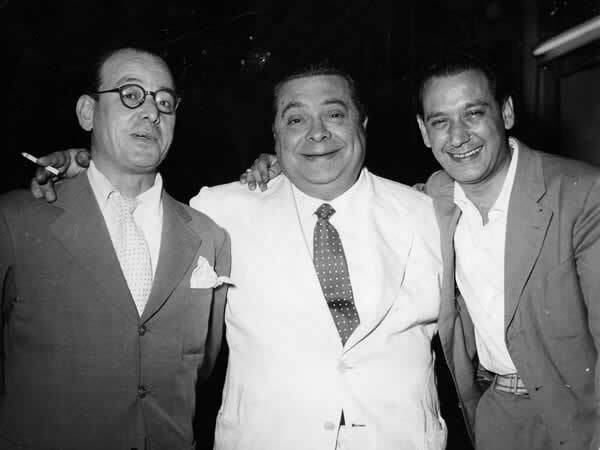 When his parents heard the song on the radio by the singer Dalla, accompanied by the Moretta orchestra, they finally understood that they would never have had a doctor in the family, but they also realised that they had a refined and brilliant composer in their midst. 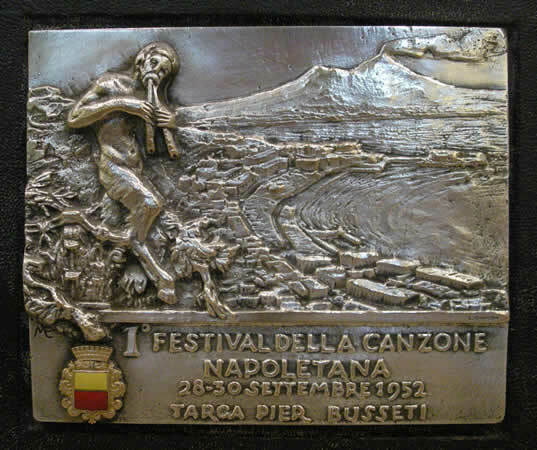 He was one of the composers of "La Canzonetta", when his work was interrupted by the war; when he started again some years later, his greatest confirmation came from the song "Luna Rossa", to verses by Vincenzo De Crescenzo. 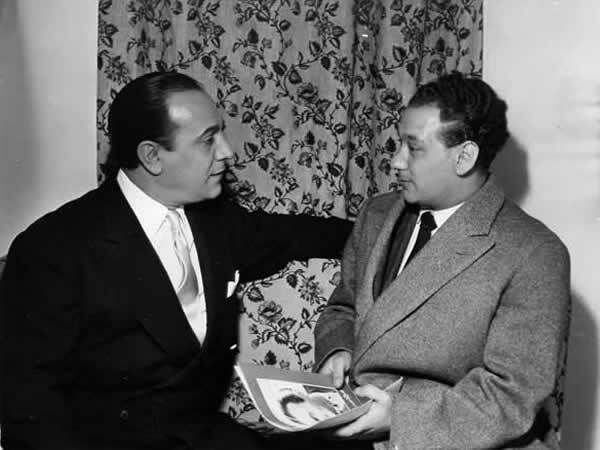 He founded his own publishing house, the A.B.C., and organised shows with important singers and actors and extremely tasteful stagings. 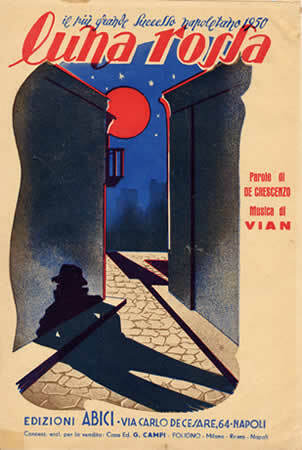 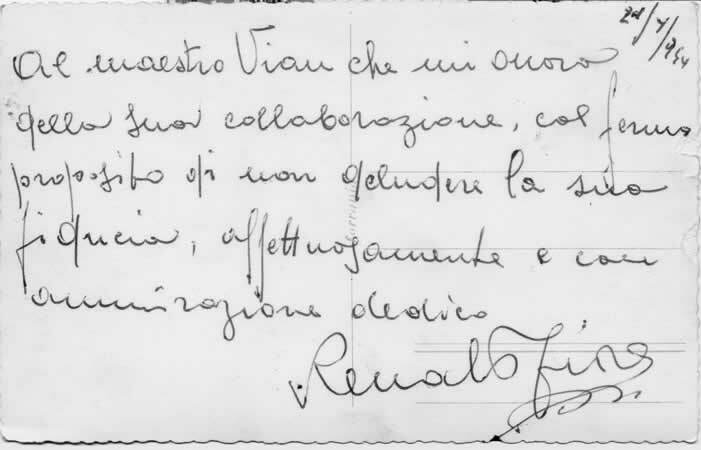 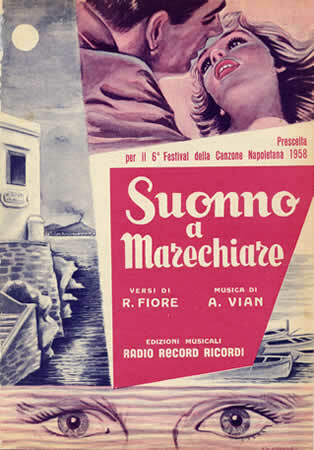 And so he helped himself by whistling and searching for the right notes on his piano keyboard to compose his famous, immortal masterpieces “Luna Rossa” (translated into all languages, also played to a Tam Tam rhythm), “Il Mare”, “Suonno a Marechiaro”, “Nisciuno”, “Giuramento” and many, many more, creating an incredibly vast and varied repertoire and collaborating with the greatest artistes from that period. 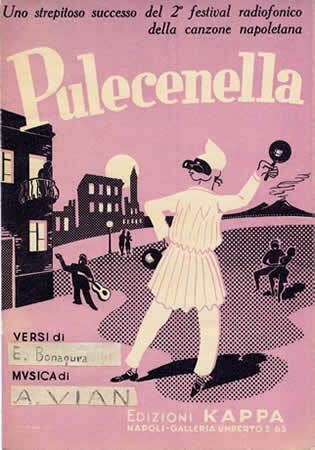 He wrote his last song "Ma Pecchè?" 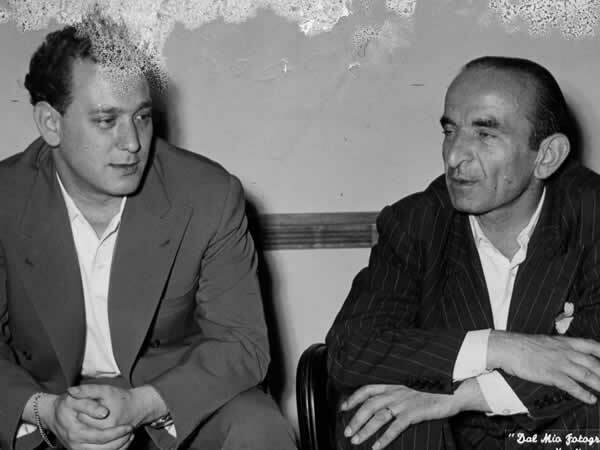 when a cruel illness, that was to be the cause of his death, had already weakened his body, but not his mind that was still sharp and lucid, or his inspiration. 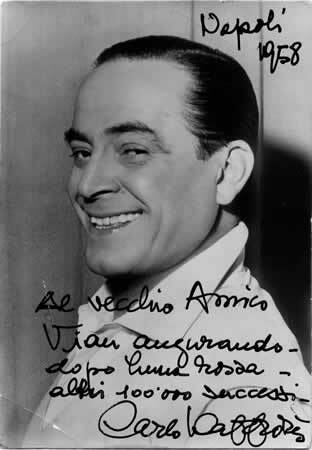 He died at the age of just 48 years old on 22 june 1966. 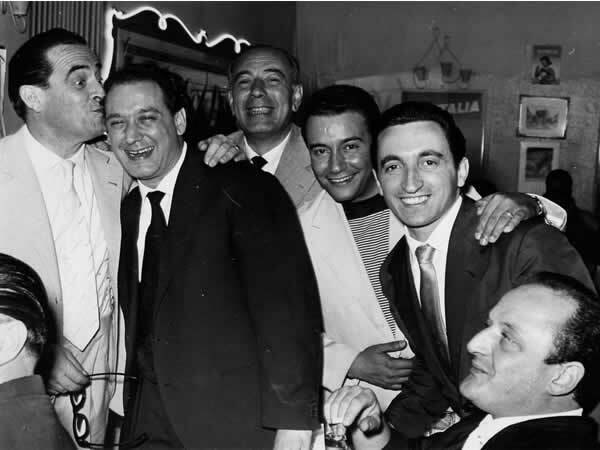 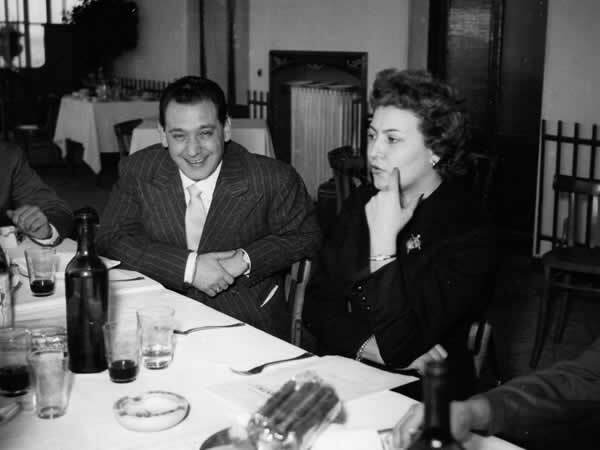 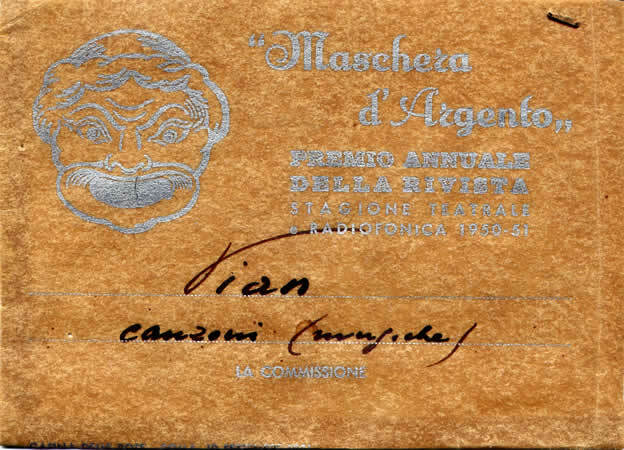 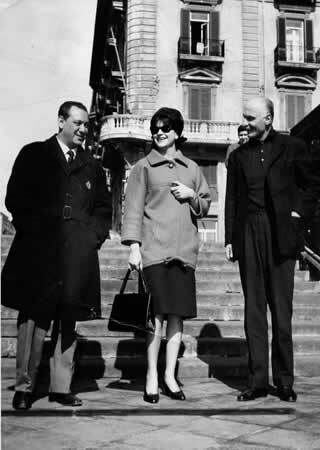 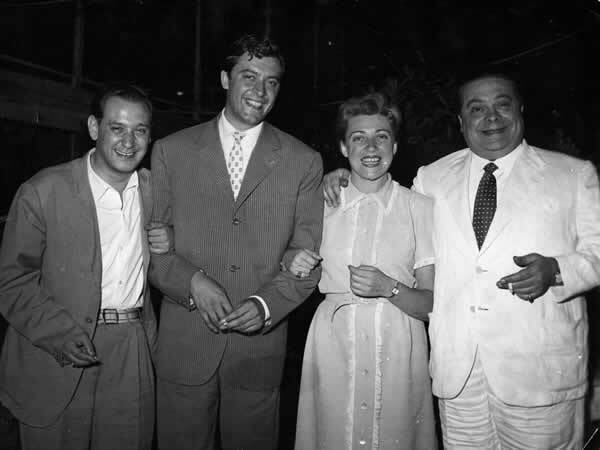 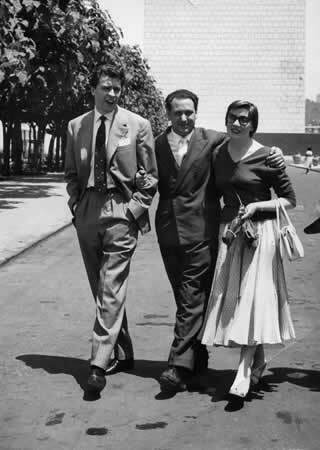 He always remained attached to his family’s hotel in Via Giuseppe Pica, where he lived and composed for a long time. 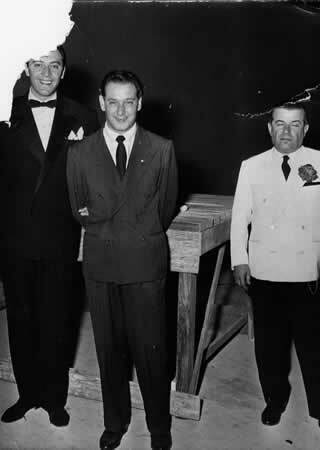 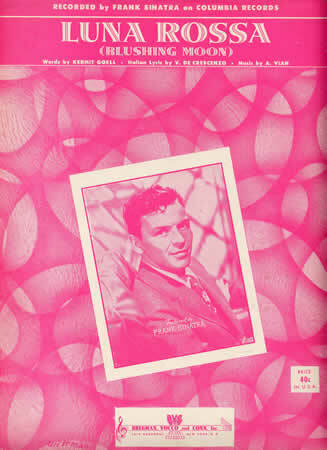 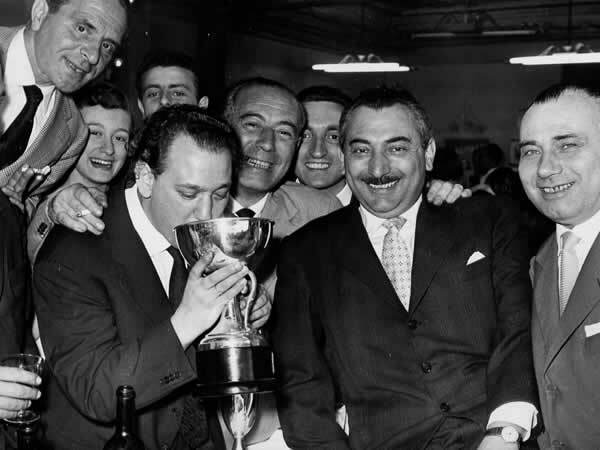 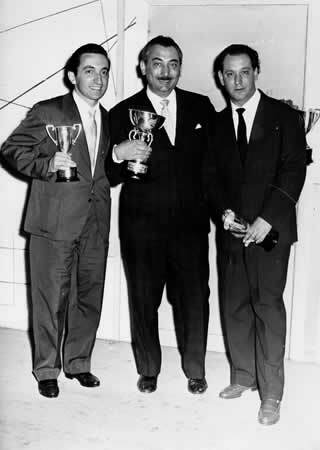 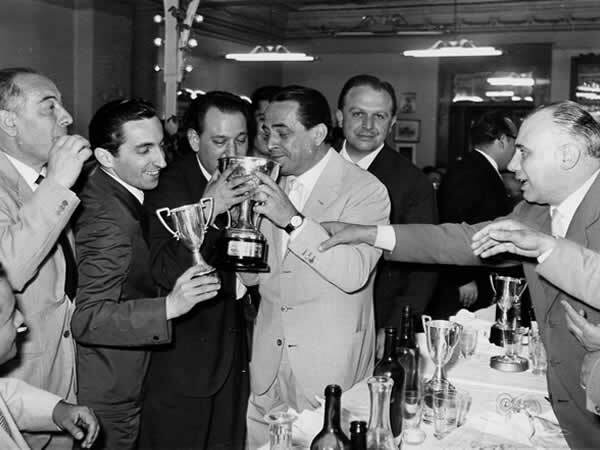 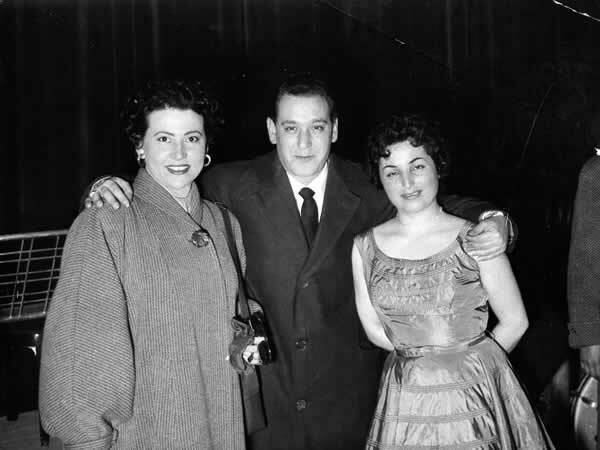 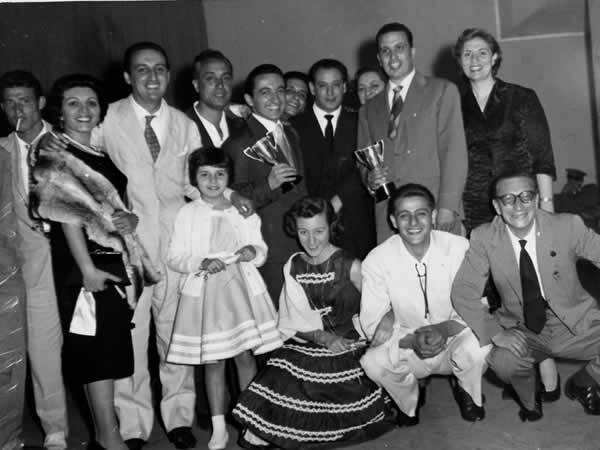 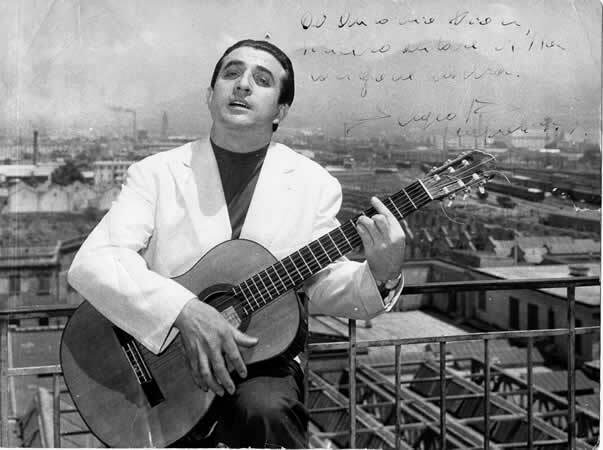 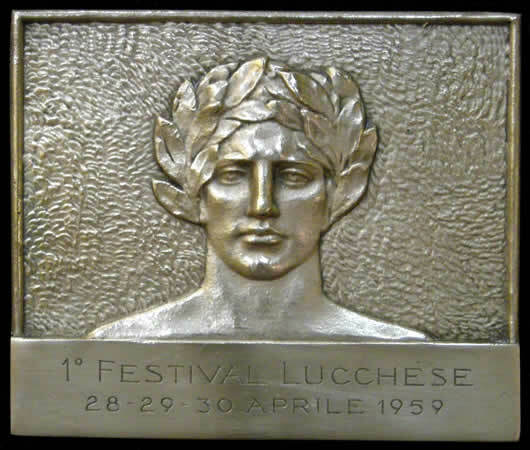 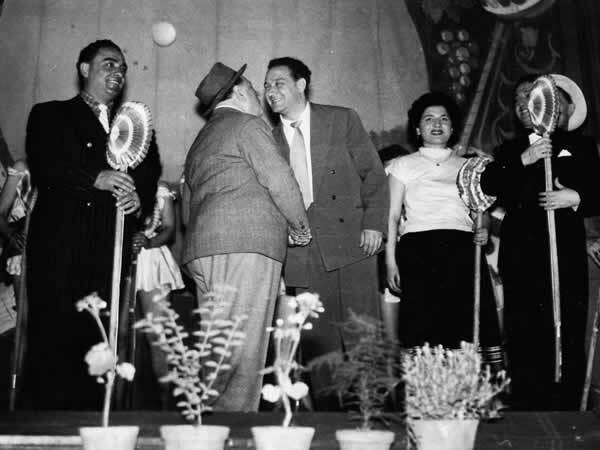 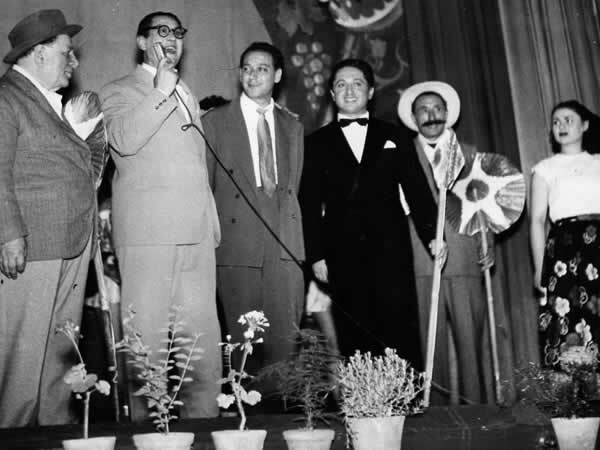 Participated 2 times at the San Remo Festival (1960 and 1961), and 14 times at the Naples Festival (from 1952 to 1966), except on rare occasions, with beautiful songs and good positions. 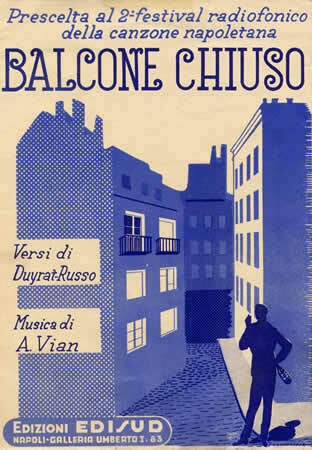 In dialect: Luna rossa (1950), Giuramento (1953), Balcone chiuso (1954), '0 Ritratto 'e Nanninella (1955), L'ultimo raggio 'e luna (1957), Comma all'onna (1958), Suonno a Marechiaro (1958), Senz'e te (1959), Sti 'mmane (1960), Settembre cu me (1961). 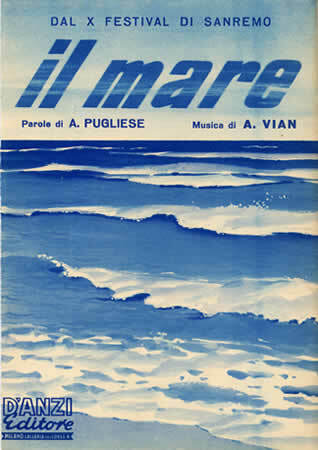 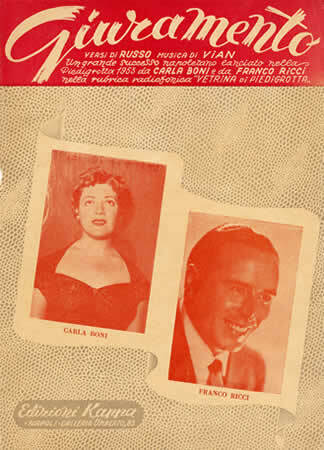 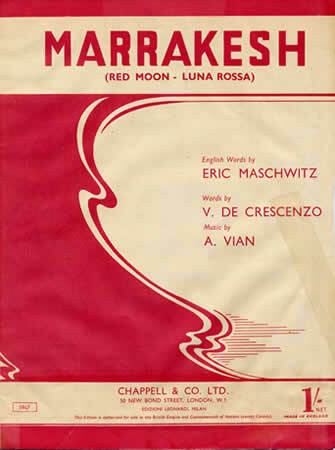 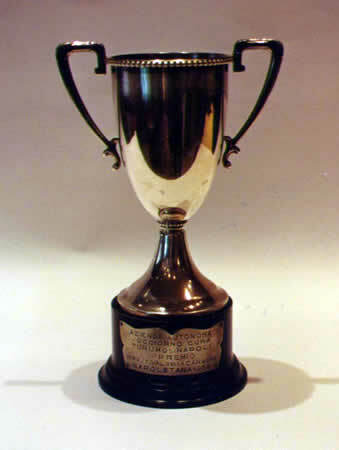 In Italian: II mare (1960). 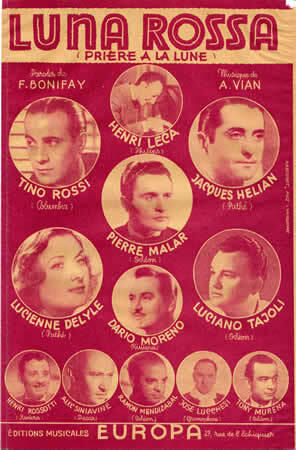 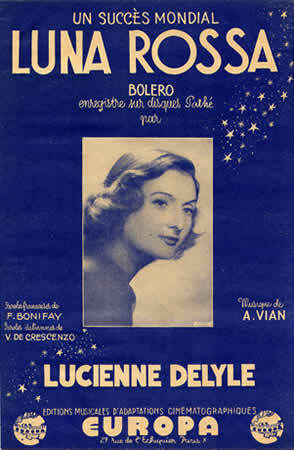 The "Copielle", which are no longer used today, were the scores with the song lyrics and piano accompaniment. 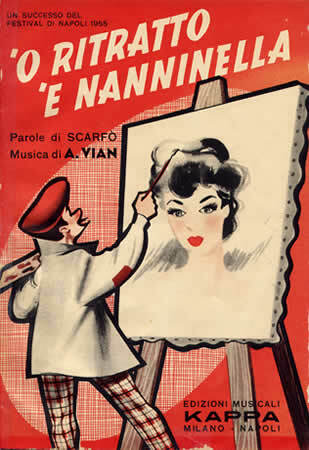 They were carefully designed by the publishing houses, since they were an important means of advertising and their covers were genuine "works of art".